With Valentines Day just around the corner I thought I'd put together a look appropriate for the day. I don't do many posts on 'looks' but I enjoyed rummaging through my collection and picking out some products to experiment with. 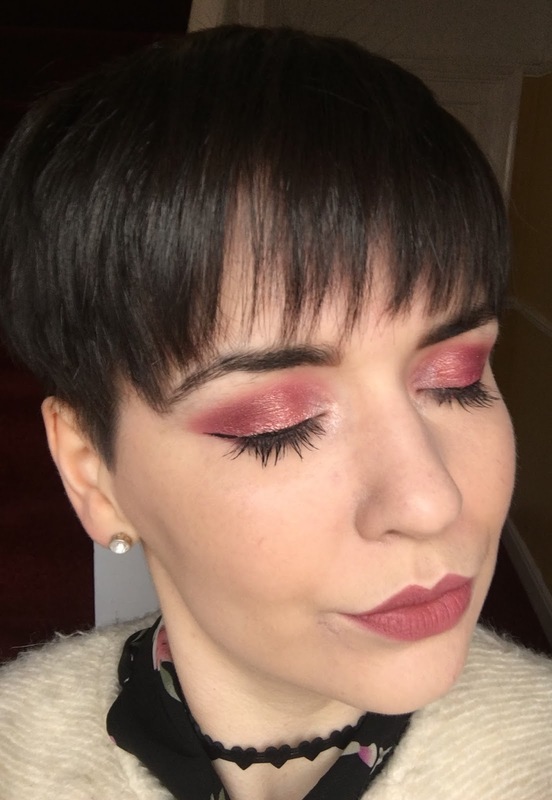 I wore the finished look to lunch today with my friend and have to say I really loved it. I don't go for a pink toned eye very often so this made a fun change. I primed my eyelids first with the Nyx HD Eye Primer, I know when I use this that my shadow will stay put for hours with no pesky creasing. I used a few of the shades from the Anastasia Beverly Hills Modern Renaissance Palette, Tempera works as a great all over the lid shade (hence me hitting the pan on it already- oops! ), then I went in with Loveletter to carve out the crease of my eye followed by Venetian Red to deepen up the outer corner. 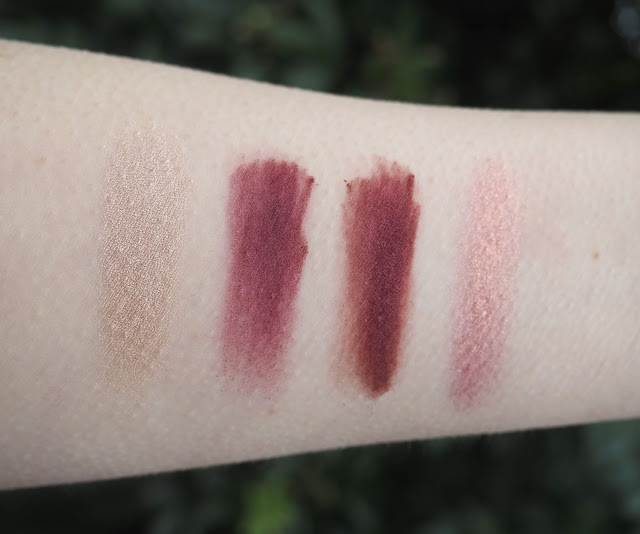 I love these two shades so much, they're both matte and blend out beautifully. Loveletter is a vibrant pink and Venetian Red is still a pink but with much more of a red tone. Taking a flat shader brush I spritzed it with Mac Fix Plus before applying Mac Rose Pigment to the lid, this shade is just stunning, a gorgeous pink with a golden toned shimmer. To finish the eyes I added a winged eyeliner using the Stila Stay All Day Liquid Liner and Vermeer from the ABH palette to the inner corners. Aren't the Milani Rose Powder Blushes a thing of absolute beauty? 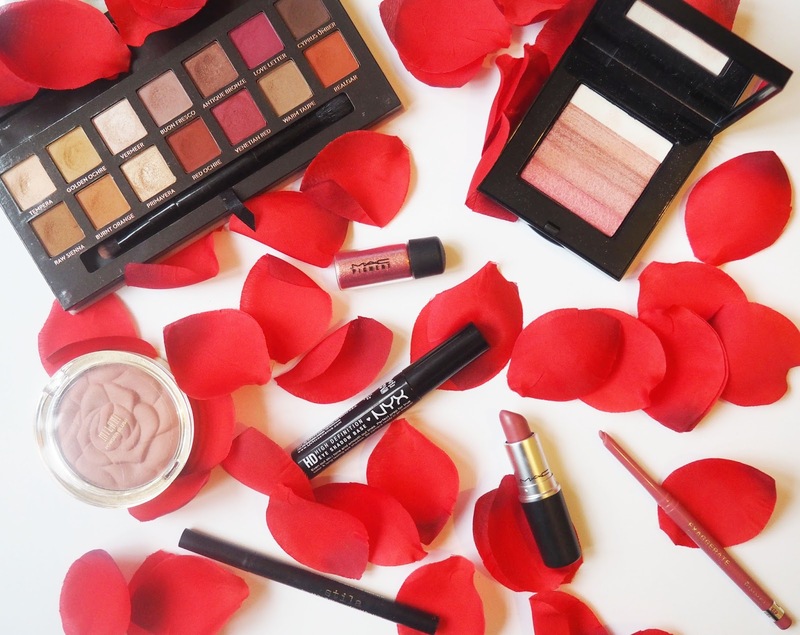 This shade is Romantic Rose (appropriately named for the occasion!) and I think it works perfectly for this look. I didn't want anything that was too sickly pink in case it was a bit overkill so the natural pink, dusty shade of this was ideal. If you wanted something a bit pinker but with more of a glow the Bobbi Brown Shimmer Brick in Rose would be a great alternative. On its own it gives quite a sheer, shimmery colour to the cheeks but it could definitely work over another blush or as a highlight. To finish the look I created a cool toned pink lip. 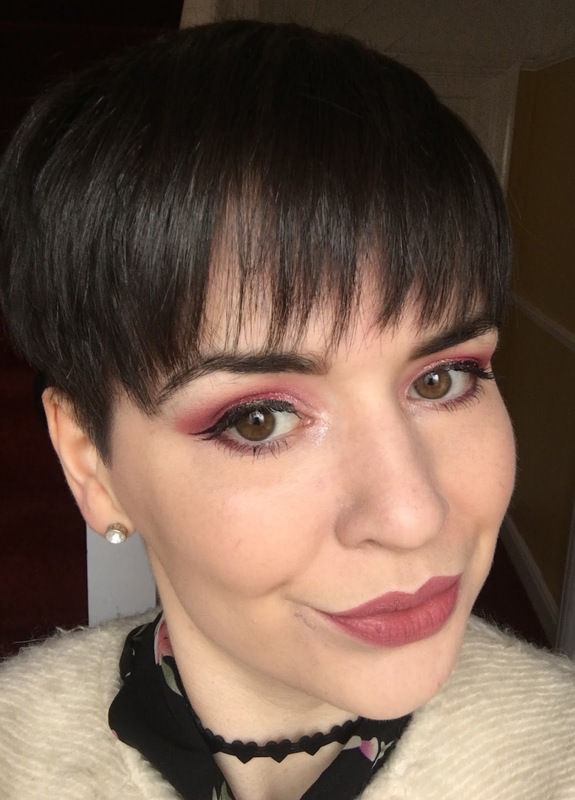 The Rimmel Exaggerate Lipliner in East End Snob is a well known product and it worked an absolute treat for creating a full pouty lip, I love using this over the whole lip. 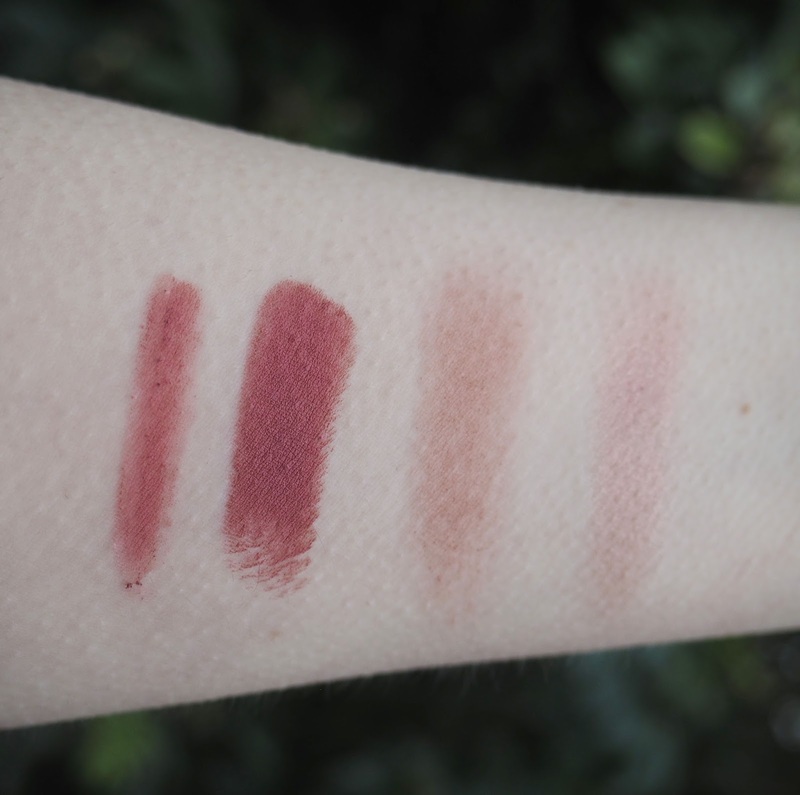 The texture is smooth and glides on so easily, it even looks fab on its own. I then topped it off with Mac Mehr which is a very similar pink shade with a matte finish. Whatever you are doing to celebrate Valentines this year, whether its with your friends, family or your partner, I hope you have a great time! Leave me a comment if you'd like to see more of these types of posts my loves.